Do You Care About a Shoe's Performance? It’s the end of the year, and by now several “Best of the Year” lists have hit the web. Whether it’s a countdown of our favorite Reebok releases or a personal list from a “sneaker celebrity”, one glaring detail is noticeable in each of them: Almost every selected shoe is a retro or collaboration. Very few are new designs. Even fewer are based on the latest performance innovations. In response, one must wonder if “sneaker culture” cares about performance models at all anymore? Or if that is something that has become strictly the concern of competitive athletes. In 2013, possibly more than any time before, there are two distinct sneaker categories: performance and style. Perhaps this phenomenon can be blamed on the shift to as-light-as-possible, fully synthetic performance shoes. As shoes get thinner, lighter, and constructed with more plastic, in turn, they often lose their casual appeal. Years ago, when performance shoes were made out of leather or nubuck, what you saw on the court or in the gym was much more often the same as what you saw on the streets. Now it’s almost as if everybody has separated their performance and casual sneaker options completely. Of course there are exceptions. Every new LeBron gets worn casually without question. 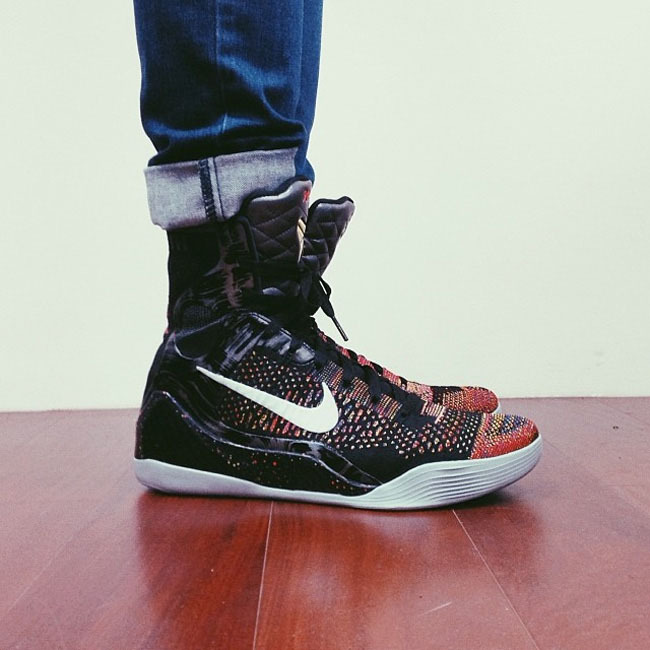 But when was the last time you saw somebody successfully rocking Hyperdunks with jeans? 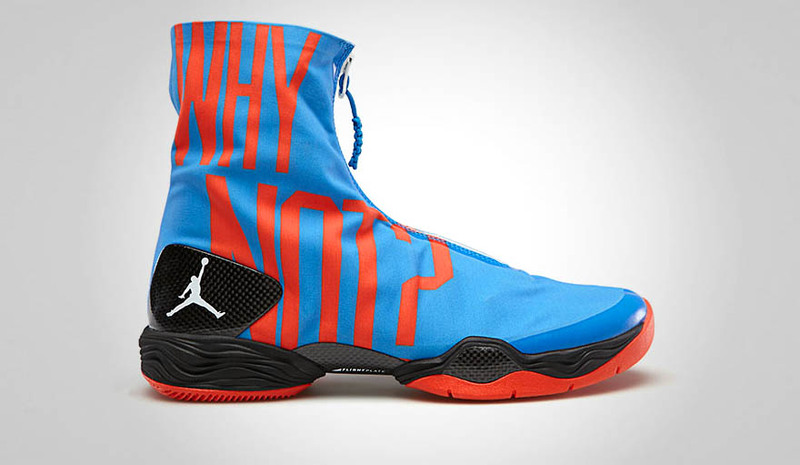 The Air Jordan XX8 has been one of the best performing Air Jordan models in years, but how many people have you seen wearing them casually? Nike’s Flyknit line and the adidas Springblade have both been huge at retail this year, although they offer more of a technical appearance than they do competitive advantages. But they do help bridge the gap in today’s sneaker landscape between tech and style. Possibly (probably) for marketing reasons, and the massive casual running market, running shoes tend to show their tech, where basketball is more likely to keep it hidden. It’s almost as if running advertises its tech, in spite of minimal performance enhancement, where basketball attempts to hide its advancements to minimize losing its casual appeal. 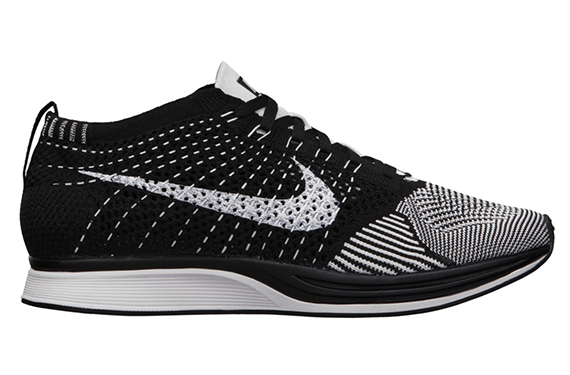 Nike's Flyknit is one of the few new technologies being accepted just as much - maybe more - by the style crowd as the performance crowd. As performance shoes get more and more focused on offering performance advantages—as the Air Jordan XX8, adidas Rose 4 and the upcoming Kobe 9 each do—the trend of sneaker heads leaning towards classic silhouettes for casual wear might not end any time soon. Is that a bad thing though? Or just something different? There have always been different shoes for different uses. You wouldn’t wear a pair of Timbs on the golf course, and a sprint spike has never been a good look at the mall. Basketball shoes have long served as one of the few genres (along with running) that could work both ways. The premise of players being bigger than the game itself, and the products they endorse setting the standards for what is “cool,” is something that set basketball apart from any other sport. And part of what made it accessible to fans was the fact that they could live in the same footwear their idols created lasting moments in on-court. But as musicians and other celebrities have increasing influence on style these days, does that matter as much anymore? It also seems like many of today’s players are following the same trends as the rest of us. Outside of the top signature athletes, the ones making the most noise with their footwear are doing it through beloved retro models. 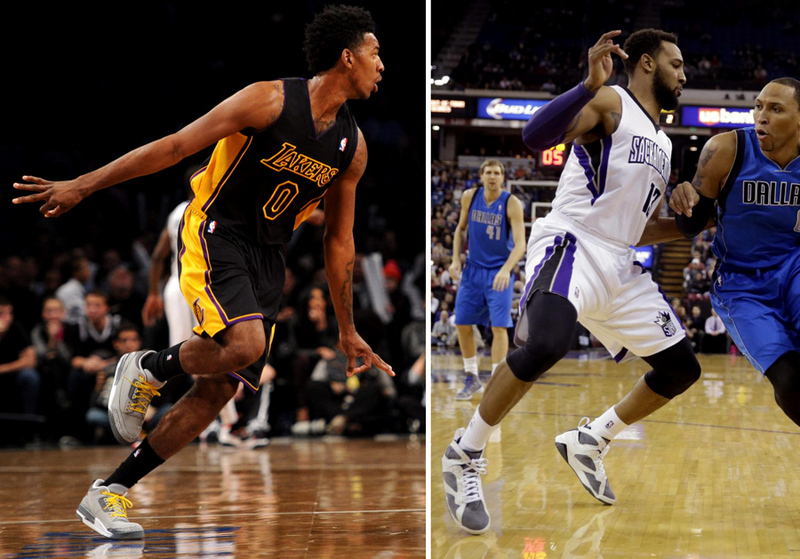 Even on the court, second-tier players wearing retros seem to garner more attention from the sneaker world than stars like Kevin Durant and Derrick Rose in their latest performance models. With Nike introducing shoes like the lifestyle editions of its signature basketball lines, it appears they even may be accepting this reality. Maybe performance shoes are becoming more and more of equipment, and less dual-purpose. Again though, is that necessarily negative? Without designers not having to worry about a shoe having casual appeal, less compromise may be necessary on the performance front. As anyone who’s struggled on the court with less-than-ideal traction can attest, stories are best left being told in ways other than traction patterns. As performance matters less and less to those who don’t perform, does that present even more opportunity for those that do? The Kobe 9 may be Nike Basketball's biggest disregard for casual appeal ever...but is that necessarily a bad thing?